Shed, Garage & Pole Barn Packages - GNH Lumber Co. Shed, Garage & Pole Barn Packages - GNH Lumber Co.
Take the guesswork out of shopping for your next shed, garage or pole building with our custom building packages. We use only the finest lumber and roofing materials, as well as top-quality siding, facia and trim, to ensure lasting value. Add the convenience of storage to your property the easy way! Improve the value and visual appeal of your home, create ample storage, and provide shelter for your car, boat, recreational vehicles, farm equipment, garden supplies, tools — and more! 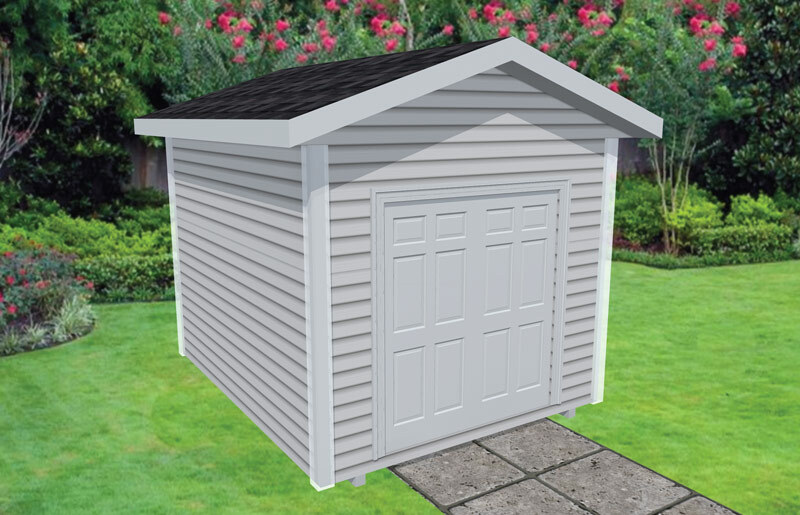 10 x 12 Shed Package: Small Storage Solutions Made Easy! Purchase a new shed the easy way with our ready-to-go shed package. Package includes joists and subfloor, framing lumber, vinyl siding, asphalt shingles and more. Choose our base package, or customize your own. Click on "Package Details" for more info, or "Get a Quote" to get started. 24 x 24 Garage Package: Medium Storage Solutions Made Easy! 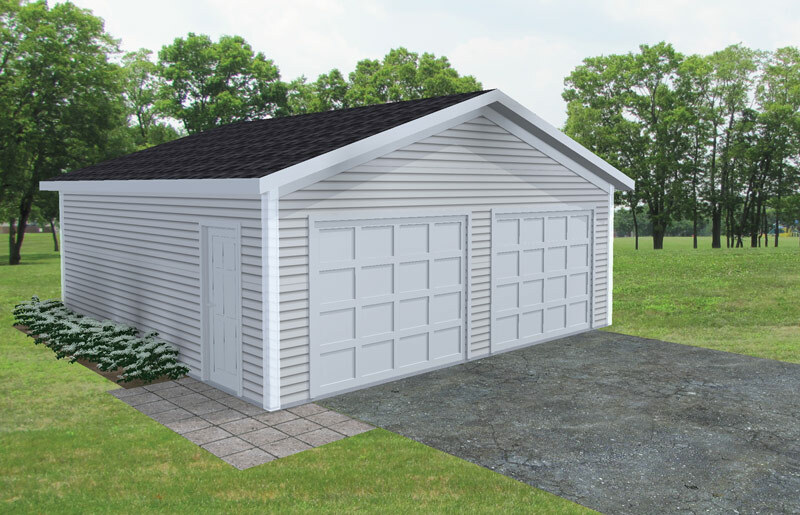 Install a new two-car garage with our popular garage package. Package includes framing lumber, vinyl siding, asphalt shingles, 2 steel garage doors and more. Choose our base package, or customize your own. Click on "Package Details" for more info, or "Get a Quote" to get started. 32 x 40 Pole Barn Package: Large Storage Solutions Made Easy! 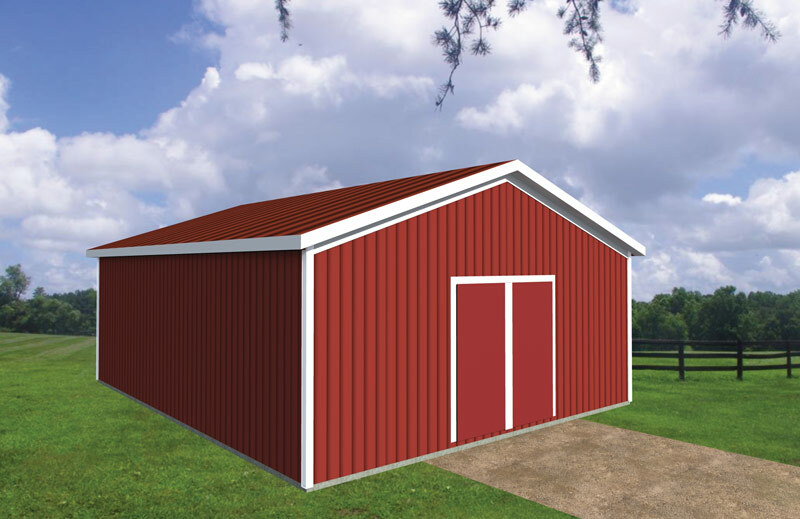 Add large storage to your property the easy way with our ready-to-go pole barn package. Package includes poles and purlins, trusses and bracing, metal roof, vinyl soffits, sliding door and more. Choose our base package, or customize your own. Click on "Package Details" for more info, or "Get a Quote" to get started. *The GNH packages shown on this page are pre-engineered and pre-estimated so that we can provide a package price within 24 hours of your quote request. We would be happy to modify any of our packages to suit your needs but doing so can result in slower quote times and may require an in-person consultation with our CAD department.